Given Calgary’s long, cold winters, it’s very important to put careful thought into your choice of windows. In the average home, the majority of heat loss occurs through the windows; leaky frames and suboptimal glass both allow energy to escape. It’s well worth the extra investment in efficient windows and window frames, as you will recoup the difference in price through energy savings many times over. Low U-factors. 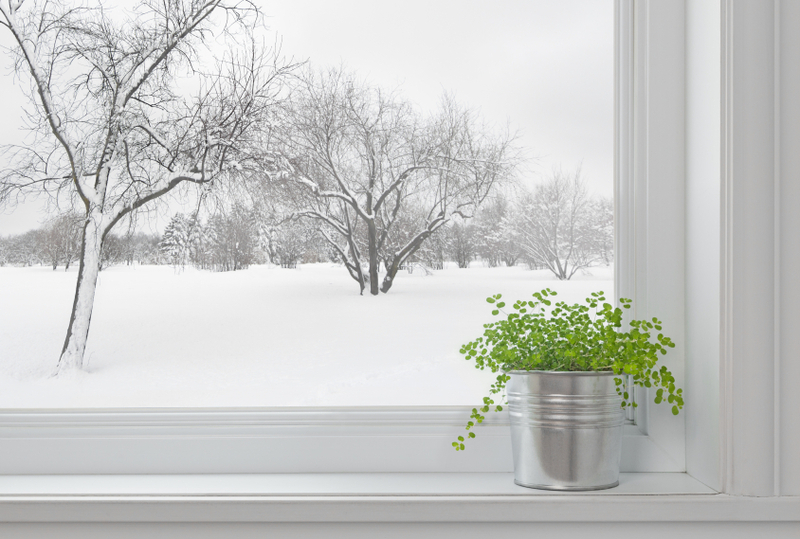 The lower a window’s U-factor, the better it is at insulating your home. Windows with lower U-factors inhibit the passage of heat. High R-values. Like insulation, windows also have R-values. The higher a window’s R-value, the better it is as resisting heat transfer. Low-emission glass coatings. Windows that are coated with transparent metallic oxides are excellent at reflecting light-based heat. Low-E coatings are highly recommended, especially for large windows that have significant exposure to sunlight. Multi-paned and multi-glazed windows. This strategy employs low-conductance gases between two or more panes, trapping heat and preventing it from escaping. Airtight, thermal-resistant frames. Loose frames are one of the major causes of heat loss. Choose window frames that are airtight, with weatherstripping features and low U-factors. Most hardware and home improvement retailers carry rubber weather sealing strips, which you can quickly and easily install yourself without significantly changing the appearance of your windows. This low-cost strategy offers the potential for excellent savings, but you’ll need to be careful when you peel it off in the spring, as it can leave behind some gummy residue. Insulation film kits offer a similar solution for the indoor side of your windows. While they may cloud up your windows slightly, they are another low-cost solution that provides an extra layer of thermal transfer resistance. Cellular window shades are designed to permit light through while trapping heat inside, and they can also be customized for a perfect fit. Costs tend to be a little higher than you’d encounter with other types of window treatments, but these shades offer a stylish solution and provide year-round efficiency boosts. Installing thick or layered curtains is another effective strategy that can deliver a major boost to your window insulation. However, they do block out light, and curtains made of quality materials often require a significant investment. Like cellular window shades, though, thick curtains enhance your home’s decor. If you’re a do-it-yourself type, you can make your own tubular “draft snakes,” which you can then place along window sills and door frame bases to prevent cold air from leaking in while keeping warm air inside your home. The materials you’ll need to make them are very inexpensive and widely available. When you’re shopping for a new home or designing a new custom home, you should also consider the many benefits of passive solar lighting. In essence, this approach uses the orientation of your home to be eco-friendly, positioning it so it gets an optimal amount of daytime sun exposure. Incoming sunlight is then harnessed by directing it towards specially selected and strategically placed materials, which capture and redistribute the natural warmth. Used correctly, passive solar lighting can significantly reduce your winter heating costs. Home buyers building their own custom houses can take advantage of additional passive solar lighting techniques that offer year-round benefits by using networks of windows that capture sunlight at different angles as the sun’s position in the sky changes with the seasons. Fine Line Homes offers expert eco-friendly home building in Calgary, deploying a comprehensive range of cutting-edge construction techniques to make your new house as energy-efficient as possible. We guide clients through every step of the custom home building process, supplementing energy-efficient design with quality products and home systems that cut down on energy consumption. Thanks to these principles, our clients enjoy homes with higher-than-average resale values and greatly reduced operating costs. To learn more, please register with Fine Line Homes to receive our free, no-obligation custom home construction guide.